As a mom who loves to travel, I have changed diapers in some pretty strange places. There was the park bench in Paris, on my lap in an airplane seat, and countless unsanitary rest stops in various states. I usually just chalk it up to part of the parenthood experience. However, the Beanko Mobile Changing Station is the perfect solution for on-the-go parents of babies. Designed by a busy mom, this mobile changing station is the perfect solution for parents who are on the go. Whether you’re headed to a play date or hitting the road for a long drive, every day should be filled with fun, lots of laughs, and love — not an endless search for where to change baby. 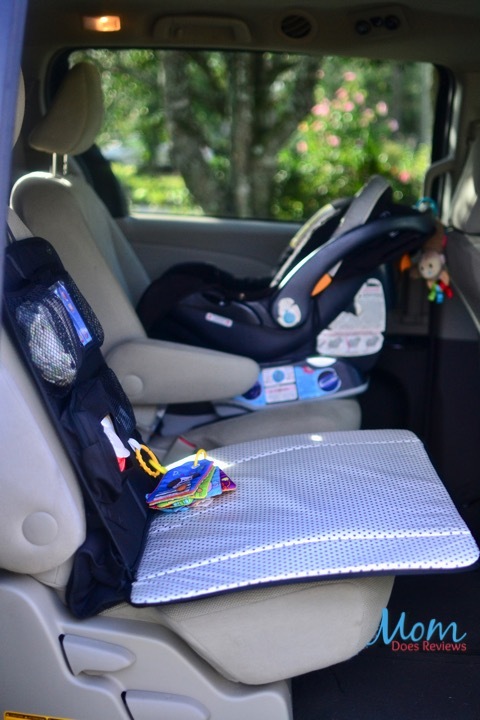 Changing diapers in the car has never been easier! 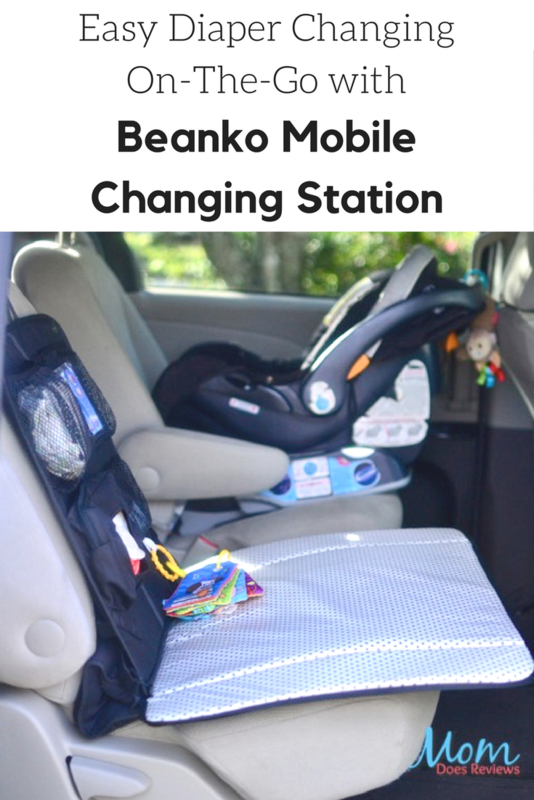 With the new Beanko Mobile Changing Station, you’ll always have a clean place to change baby anytime, anywhere…! From the moment I took the changing station out of the package, my 7-month-old son crawled right over to it and started playing. He wasn’t the only one who was impressed! I could tell a mom designed this product because it is a perfect solution for changing wiggly babies. 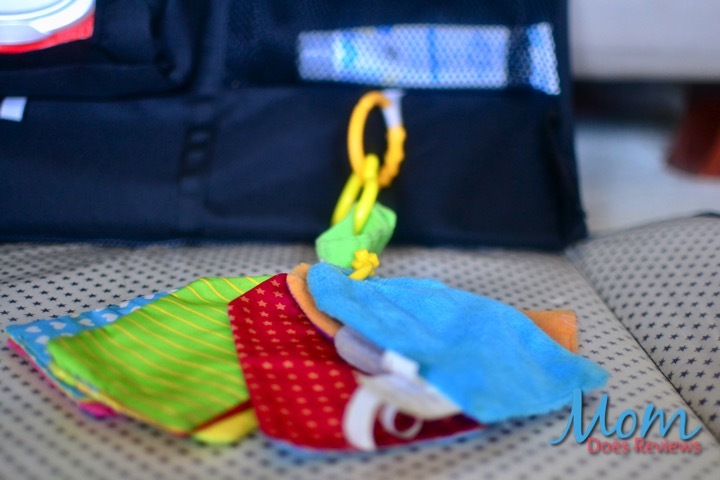 One of my favorite features is a toy loop for attaching baby’s favorite toy. This helped keep my son distracted during a diaper change when he usually attempts to roll over and crawl away! 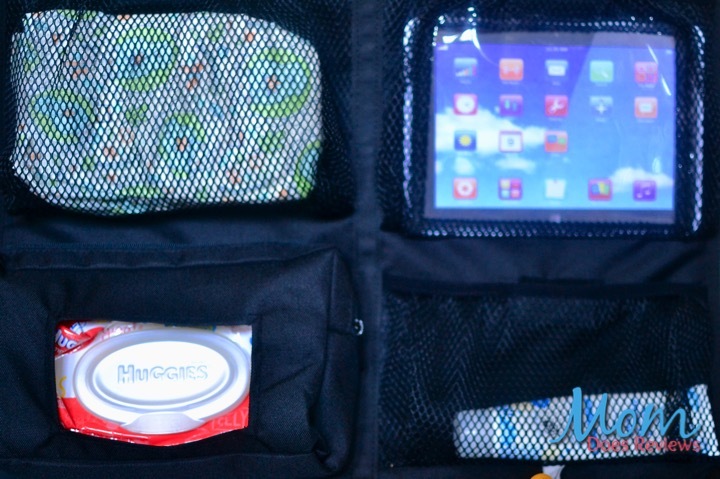 The storage pockets are also genius for one-handed access to diapers, wipes, and diaper rash cream. The baby wipe holder even has a small opening for a convenient way to grab wipes. Any parent that has changed a diaper on a car seat has dealt with the baby rolling into the seat due to the inclined surface. The Beanko Mobile Changing Station comes with a foldable wedge that keeps baby on a flat surface during changes. I loved how everything I needed for a diaper change was right within reach so I could just focus on changing the baby without having to search on the floor of my van or fish through an overflowing diaper bag. You can also detach the bottom portion for a perfect spot for tummy time. I’m bringing my baby to a convention, and I just know this changing station will be perfect for the occasion! 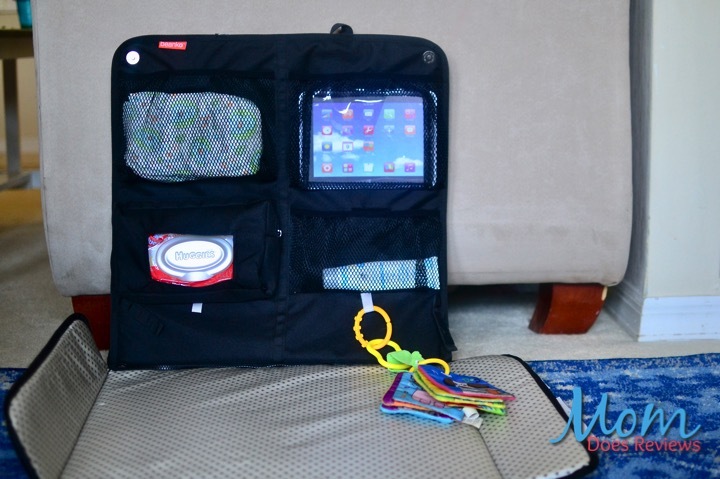 As for my older children, they were excited that we could put a tablet in one of the storage pockets so they can watch movies during road trips. It conveniently hangs from the back of car seat so it’s right in their line of sight. 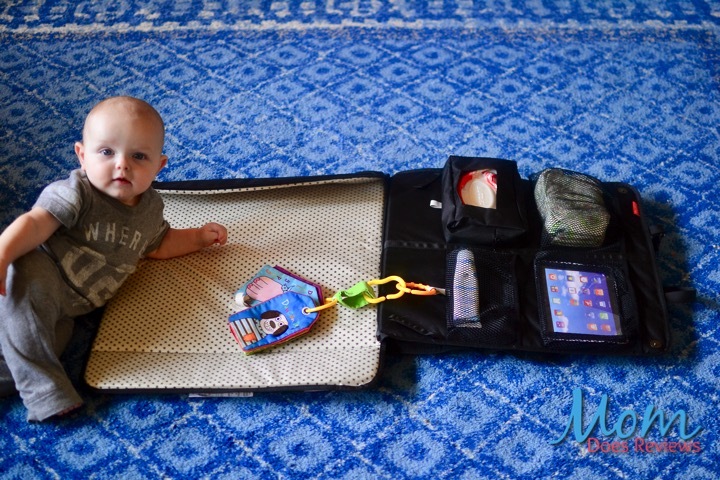 This is the perfect gift for new moms, and especially moms who love to travel. I can’t wait to hit the road with my kids again, knowing I don’t have to change my baby on one more unsanitary surface. Any parent that spends time in the car with their kids would appreciate everything this product has to offer.